Two of my favorite ELF eye quads, a liner/sharpener duo, my absolute favorite, neutral lipgloss, and a hot pink carrying case to match at least one of the colors Jennifer Julian has beaded up into dangly gorgeousness. Can’t wait to get the bracelet so I can mail this out! YES!!!! 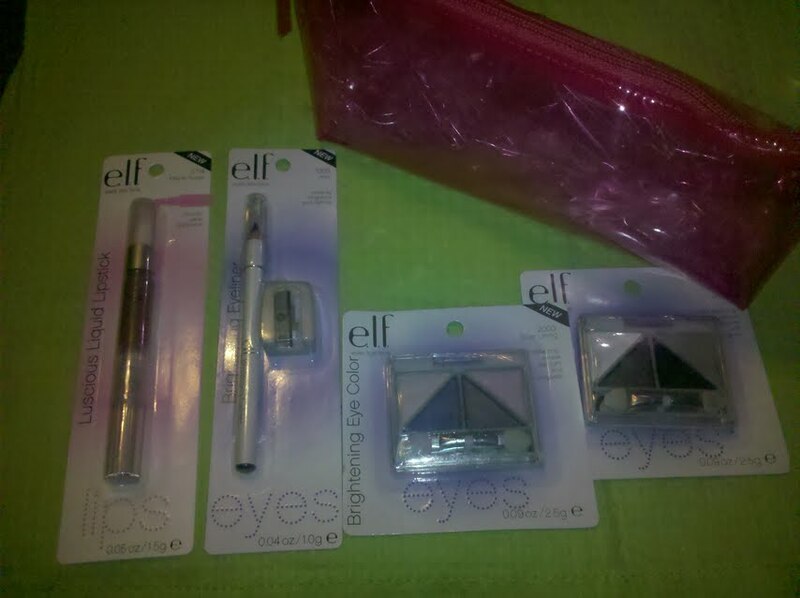 I’ve wanted to try ELF products!!! Yay! I think you’ll like them. I really do. When I was doing bridal makeup, I used a lot of ELF.